Pioneering a new pilgrimage route along a mix of ancient and modern trails! Pioneering a new 200 mile pilgrimage route designed in collaboration with the British Pilgrimage Trust along the Thames Path and The Ridgeway, our Road to Peace Pilgrimage will be a physical prayer for peace through the English landscape. Dubbed the ‘Glastonbury Tales’, it is a modern re-telling of an ancient story – a re-dedication of the pilgrim pathways that were for millennia walked in peace and contemplation by untold thousands of people. Walton on Thames – Windsor – Maidenhead – Reading – Goring – Uffington – Marlborough – Avebury – Pewsey / Honey Street – Devizes – Bradford on Avon – Frome – Shepton Mallet – Wells. Journeying along a mix of ancient and modern trails, following rivers, prehistoric trackways, canals and footpaths, we will encounter river sources, holy hills, churches, monasteries and places of legend – as well as towns, schools, villages, communities and interfaith groups, sharing our film Road to Peace and generating our interfaith dialogue about peace and happiness as we go. There will be opportunities to join us for ceremonial events at Avebury for the solstice celebrations on Saturday 20th June and on Glastonbury Tor for a finale World Peace ceremony on Saturday 27th June. Sign up below for news and updates on timings and how you can get involved! The 200 mile journey begins with a single step! 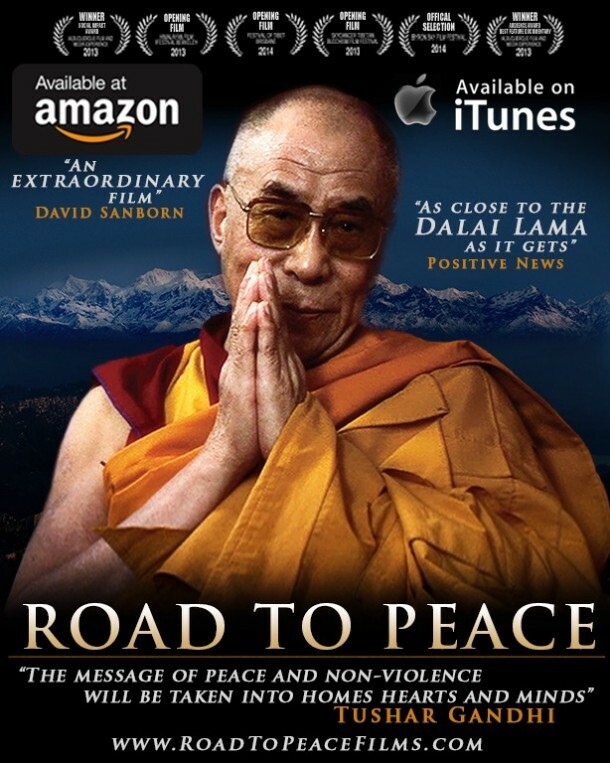 "The film was truly an inspiration, and an enlightening experience"
Thank you for subscribing to Road to Peace! Revolution Slider Error: Slider with alias slider8 not found. Sign up below for News and Updates!